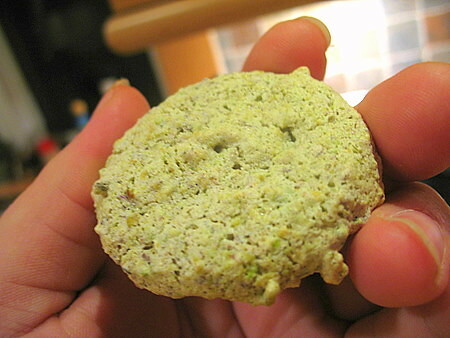 If you’re a pistachio fiend like I am, and regardless of whether you’re Jewish or gentile, these are the most addictive, amazing pistachio “cookies” you’ll ever have. In actuality, they are meringues, not cookies, because they are completely flourless and are held together with egg whites, but they are so much more substantial than a simple meringue. And they are unbelievably easy to make. 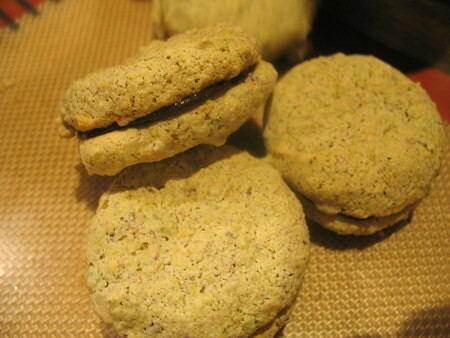 You too can make these pistachio cookies. Click on “Read the rest of this entry” for more. Preheat oven to 350 degrees. 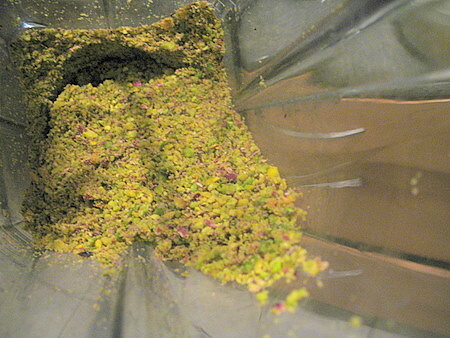 Place the pistachios in a food processor and blend until finely ground. Set aside. 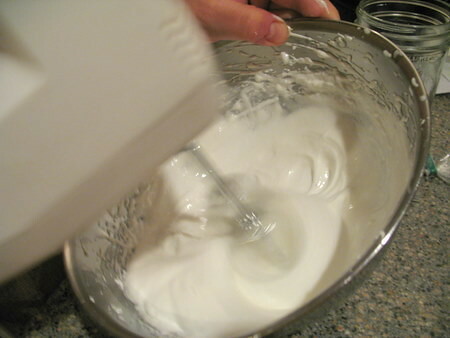 In a large bowl, beat the egg whites on high speed with an electric hand-held mixer, until stiff peaks form. 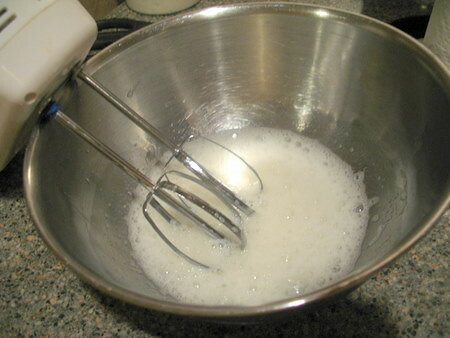 Gently pour sugar over stiff egg whites and fold in with a wooden spoon. 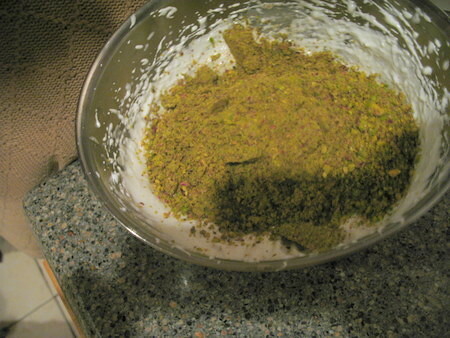 Add the pistachios and fold in with a wooden spoon, until fully incorporated. 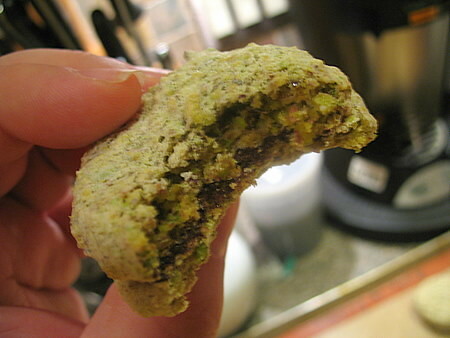 One tablespoon at a time, place the pistachio dough on a greased baking sheet, leaving 1 inch between each cookie. 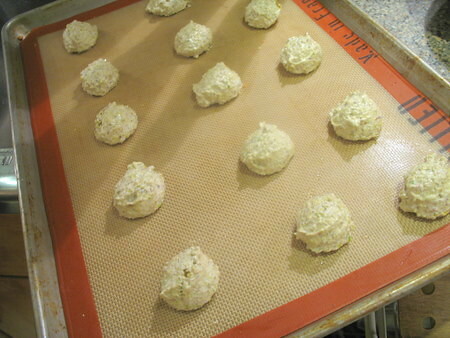 Bake until lightly golden around the edges, about 15 minutes. 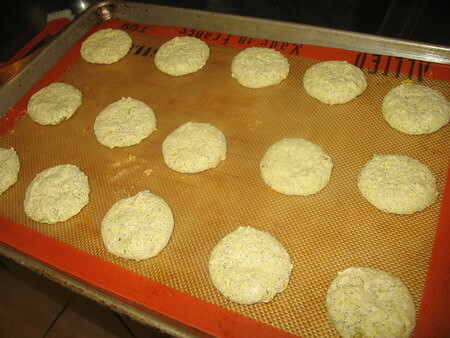 Cool 30 minutes before removing from the sheet or cookies may break. We doubled up some of the cookies and filled the middles with melted chocolate. 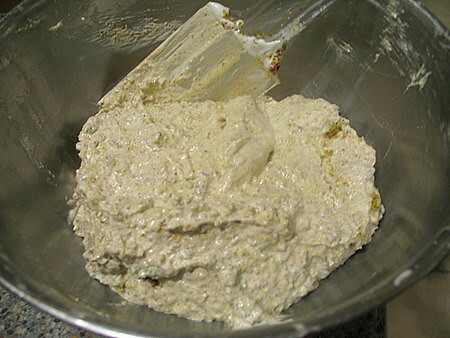 This entry was posted on Friday, April 6th, 2007 at 10:41 am and is filed under Food, General, Links, Recipe. You can follow any responses to this entry through the RSS 2.0 feed. You can leave a response, or trackback from your own site. These look delicious. 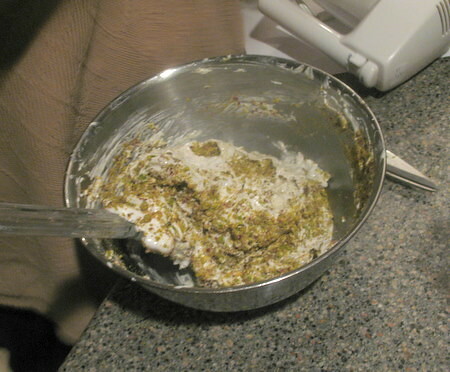 I too am quite fond of the mighty pistachio, and simply am not going to be able to resist making these tonight. I imagine that instead of filling a couple with melted chocolate, that Nutella would be a delicious (and even easier) alternative to capitalize on some over-the-top nuttiness! Thanks for the recipe, Jason! These look delicious. 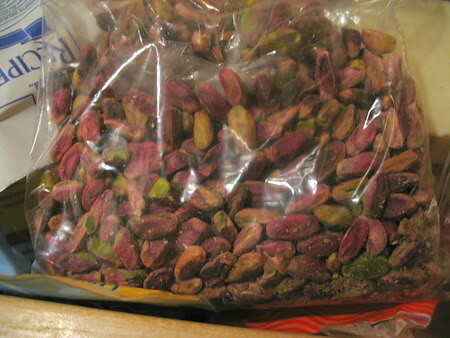 I love pistachios and I just bought a bag so I’m going to make these today. I’m impressed by the consistency of size you get when you spoon them out on to the silpat…what’s your trick? Vanessa for portioning, use a small Ice Cream disher. It’s really small, about 1 oz, I got it at a restaurant supply store. Made these for Passover and they were a huge hit!